It seems Microsoft has listened to all the criticism that was shovelled its way. Legacy Windows users will be delighted, if this turns out to be true. The Windows 8 UI and the start screen are all very cool and very modern and very hip. But, there is just one problem – most users don’t want it. 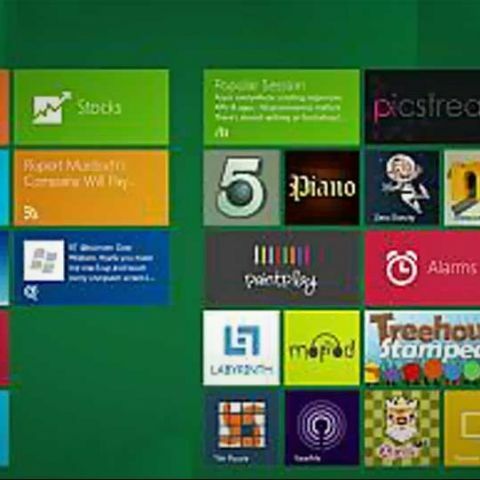 A lot of criticism was sent Redmond’s way, when Windows 8 was launched with rather different design philosophies. It seems Microsoft is now responding to that criticism, because if information regarding the testing builds is to be believed, “boot to desktop” mode may be returning with the next update. Known as Windows Blue, the Windows 8.1 test builds are currently doing rounds. According to My Digital Life, on their forum, the 8.1 registry includes an entry titled "CanSuppressStartScreen". This is not there in the current Windows 8 retail version. The other thing being discussed is the return of the Start button, but there is still no information on whether that is currently a part of the test build doing rounds at the moment, or will even be integrated in the future. That has also been a point of criticism, something that made home users and enterprises hostile towards the idea of upgrading from Windows 7 to Windows 8. Windows Blue is the codename for the next major update for Windows 8, and essentially a project that will ensure that the desktop and smartphone versions of Windows 8 get updates more regularly, something on the lines of what Apple does with the Mac OSX. Windows Blue, also called Windows 8.1, is expected to be rolled out later this year, before the festive season shopping rush begins. While the Windows 8 UI may look very nice and cool, it works well really only on touchscreen devices. But for most desktop and laptop users, including those with touchscreens, it is more of an annoyance rather than being a productive feature. What do you think? Should the “Boot to Desktop” mode be made optional, allowing users to enjoy the best of both worlds? Also, are you getting to terms with life without the start button, or should that make a return as well?